Backing up your data - it's easy! It's amazing how many people out there never backup their data. Just think about all the data you have - Word files, Excel spreadsheets finance data, photos, music, emails, contacts and the list goes on. What would happen if you lost everything????? Performing a simple manual backup these days is quite easy. First thing you need to do is purchase an external hard drive - these are available at most stores and depending upon the size cost from around $100 upwards. It’s really that easy. Some external hard drives even come complete with a backup program which simplifies the process even more - please consult with the instructions that came with the external drive on how to use this. 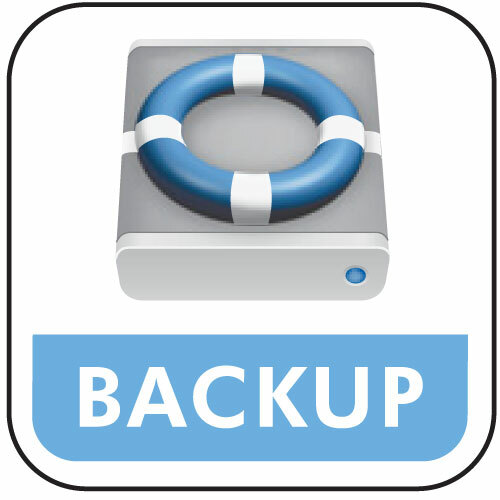 If you need more assistance or would like to make scheduled backups (where all you need to do is change the hard drive over), please feel free to call me. Don't forget to check that your backups are working correctly by plugging in the external hard drive on another computer and making sure you can open and read the backed up data. DP Computing are a computer support company providing IT consulting and support services to SOHO's and SMB's throughout Adelaide, South Australia and the surrounding areas. If you need any type of computer support or IT help please contact us. The full list of services we provide are listed on our computer services page.